Signify has released the Philips Hue 3.0 app. The big update gives the application a new look, improves navigation and introduces improved ways to adjust the colors of lamps. 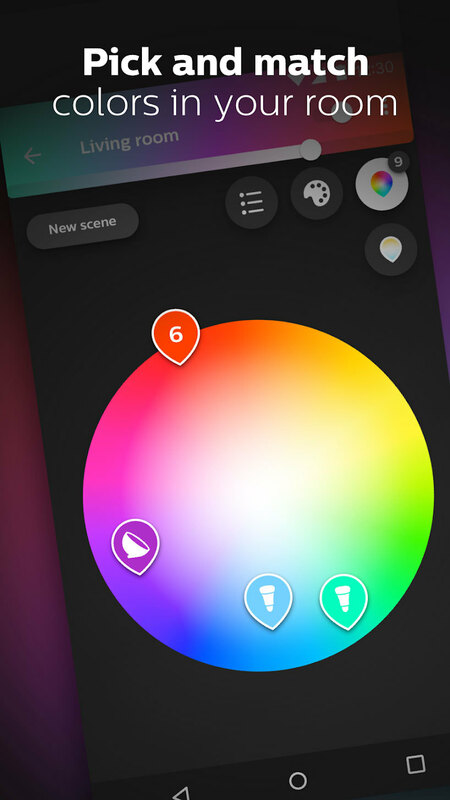 In the Philips Hue 3.0 app it is possible to change the color per lamp or a whole room with a color wheel in the app. It is also possible to choose the colors from a photo. That was also possible in the first version, but that functionality disappeared in version 2.0. Furthermore, according to Signify it is easier to recall the last used colors and to set favorite colors. Thirty new scenes have also been added to the app. Philips Hue 3.0 is available for Android and iOS . The app continues to be called Philips Hue, despite the fact that the company that publishes the app is now called Signify . Previously it was Philips Lightning, the name change was implemented last week. Signify may use the Philips brand name until 2030 on its lighting products.